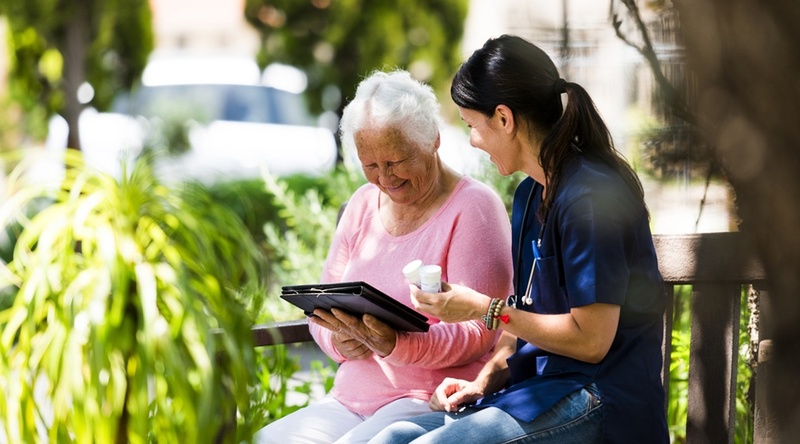 Representing as it does a revolutionary new form of healthcare, remote patient management (RPM) is something with which many facilities, administrators, clinicians, and patients may be unfamiliar at first, as both a concept and a means for care delivery. Patients are, of course, at the heart of remote patient management. The foundation of any RPM program is, after all, to “collect a wide range of health data” from patients, including “vital signs, weight, blood pressure, blood sugar, blood oxygen levels, heart rate, and electrocardiograms,” as the Center for Connected Health Policy points out. From the healthcare provider or caregiver’s perspective, the benefits of RPM seem clear enough. But what’s the RPM setup process like from the perspective of the patient? In a video from the Care Innovations® RPM Academy, our telehealth experts discuss just that, emphasizing that, with a reliable and experienced telehealth services provider as your partner, RPM setup is a fast and easy process for the people to whom it matters the most. “The setup of new patients on a remote patient management program is really pretty simple once we've identified the right patients to enroll in the program,” Barbara Fullmer, Program Executive for Care Innovations, explains in the video. Indeed, the process of identifying patient populations is essential to the success of any RPM program. It’s also a process that a dependable telehealth services provider will lead their clients through, step by step, helping to ensure that this key component is established as efficiently and as correctly as possible. Care Innovations® Chief Clinical Officer Julie Cherry (RN, MSN) has explained how the patient population identification process works. Applying risk-identification tools to a patient data set can establish a “comprehensive identification of patients who are most at risk if they don't engage,” which results in a “very, very targeted list of what patients are most appropriate” for the program. After this important step has been accomplished, the process of setting up new patients within the RPM program is quick and painless, as our experts note. “Once the patients have agreed to make a change in their behavior it's really just a few pieces of demographic information that get entered into our system,” says Barbara. Barbara goes on to explain precisely what patients experience during the implementation of a remote patient management program. It’s important to reach out to patients in a personalized way, she explains, while still keeping the process simple, intuitive and unobtrusive for them. As Barbara explains, using the Care Innovations Health Harmony RPM platform as a model, patients receive “a personalized kit that will be delivered to their door within a couple of days” after program implementation. “Then we contact them directly and welcome them to the program and help them walk through what the various pieces/parts are in that kit, and make sure that they're comfortable using it, as well as using any peripheral devices,” she adds, referring to the platform’s host of devices that are designed to be easy to use, with no wires, no extensive setup, and prior knowledge of technology needed. “From a patient's perspective, it’s really pretty simple,” Barbara adds. Of course, for all of these RPM setup elements to work effectively, it’s crucial to choose a telehealth service provider who isn’t just trustworthy, but who can also assure security, stability and transparency on behalf of all vendors and clinicians taking part in the process. For more information on how Care Innovations can help you meet these goals, we invite you to contact us here to set up a complimentary consultation.